Shannon ‘The Cannon’ Briggs has already cemented his return to the sport and made a fight between himself and Wladimir Klitschko one of the most anticipated fights for 2015. Besides that heavyweight encounter, the bout the boxing fans are most hoping to see happen this year is still Mayweather-Pacquiao. 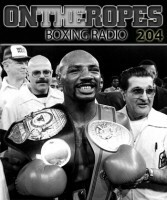 In part 2 of my “On The Ropes interview with Shannon Briggs, he shares his thoughts on both those potential fights and also speaks to HBO on why he believes he should get a fight with Wladimir Klitschko. Here is what Shannon Briggs had to say. Jenna J: Why do you think the fight between Floyd Mayweather and Manny Pacquiao hasn’t happened? Do you think Mayweather had fears about Pacquiao? 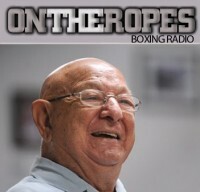 Shannon Briggs: I personally think when he said he wanted to do testing, he had concerns about the testing, about a guy taking performance enhancement and fighting him with an edge. Obviously he had concerns and maybe those concerns didn’t let the fight happen or maybe there’s other things that we don’t know about. All I know now is that the fight’s gotta happen sooner than later because who else is left Mayweather and who’s next for Pacquiao? They need each other, it’s a great time. That boy, Amir Khan, he’s sharp. That boy is getting better, he looked good the other night, I’m very impressed with Amir Khan. Jenna J: Who do you think is the bigger risk for Mayweather, Amir Khan or Manny Pacquiao? Shannon Briggs: Both of those are tough fights in my opinion. Amir Khan right now looks good, he looked phenomenal, he’s getting better. Pacquiao is a hell of a fighter, he’s probably one of the greatest fighters in history because he is a man who got knocked out by Marquez so viciously that you would have thought he was dead. You would have thought Pacquiao would never box again, this man came right back and fought Brandon Rios, came back and beat Bradley for the title. Come on man, what kind of man is this? What kind of human being is this? He literally almost got killed and he came back and he’s fighting like it never happened, that’s a hell of a man. 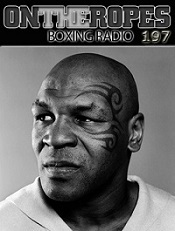 Jenna J: If Pacquiao does manage to get in the ring with Mayweather, who do you think would win? Shannon Briggs: I don’t know because if Mayweather boxes him straight off the ropes for twelve rounds, he could catch him. Can Pacquiao deal with that in the middle of the ring? That’s a great fight, it’s really a fight that we got to see happen because I really want to see how Floyd deals with Manny’s speed, foot speed and hand speed, and how Pacquiao deals with Floyd’s boxing ability. Can Floyd stay off the ropes? It’s a tough fight to call. Can Floyd catch him? Floyd might catch him and put him to sleep, who knows. Jenna J: Let’s talk about your division. Wladimir Klitschko returned and he came back with a win over Kubrat Pulev, what did you think of his performance? Shannon Briggs: He fought a guy with twenty fights, I thought that he got caught in the first round. He fought a good fight, he did what he was supposed to do, he picked the guy apart and then he got him out of there. I can’t say I wasn’t impressed, but at the same time, it ain’t me and the guy had twenty fights. The guy didn’t know what to do, he’d never been to the big dance. How much did it take out of him just coming to the ring and the presence of the crowd and the people screaming? Pulev had a big audience for him but it still was home turf, it was still Klitschko’s home and leading up to the fight, the things he might have gone through mentally, he wasn’t ready for the big dance. He will be ready, he’s a tough boy, I think he will be heavyweight champion of the world one day, just not right now. It was an impressive win for Wladimir, but with that being said, it wasn’t me and it still wasn’t a guy with experience. A lot of haters are saying crazy stuff about me, saying I’m just looking for a pay day. Listen, this is a business, this is how I make money, but the champ ain’t hurting. The champ is doing alright, so cut all that out. I want to win a title, I’m the last American heavyweight champion and I want to be heavyweight champ again, there’s nothing wrong with that. Jenna J: If you were to get that opportunity against Wladimir Klitschko, a lot of people feel your best chance is to make Wladimir uncomfortable. Is that your best way to win it? 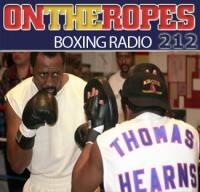 Shannon Briggs: The only way you’re gonna beat him, you’re not gonna outbox him. That’s what happened to Pulev, he started boxing with him up front. You can’t box him, it’s not gonna happen, you’re gonna have to bring it to him. You have to bring that heat and knock him out, there’s no other way. Jennings is gonna try to do what? Go inside? He’s not gonna be strong enough to deal with that. He’s never been there, he’s never been to the big dance, he doesn’t even have the experience. He’s a tough guy, don’t get me wrong but he’s not ready yet and they know that. This is what I’m trying to tell the people, you may not like Shannon Briggs but I’m not gonna lie to you, I’m gonna keep it real with you. I see how it’s set up, that’s why I call it the “pot factory” because they bring you in and they just eat you alive. I’ve been there, I was part of it, so I know what it’s like but now I’m back. I’m reborn, I’m in shape, I’m a new me. I feel great, I got nobody with me, I’m by myself. No managers, nobody leeching on to me, I’m by myself. It’s just me and the champ. 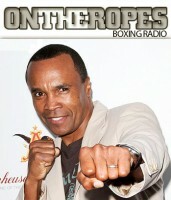 Jenna J: If you could put a message out there to HBO, why should they pick you to fight Wladimir Klitschko? Shannon Briggs: Viewer ship. The reason they should pick me is because of the viewer ship and ticket sales. I’m from Brooklyn, I was born on Atlantic avenue, right down the street from where Barclays Center is. Everybody knows me, we’re gonna sell it out. I’m just looking forward to becoming the heavyweight champion for the third time, I’m just trying to make it happen. Let me fight in Brooklyn, I’ll sell it out. The whole world is gonna be talking about me, the whole world is gonna talk about Shannon ‘The Cannon’ Briggs, I promise you. No one has this much enthusiasm, no one has this much motivation. I want this more than I want anything because I’ve tasted it before, I’ve had it before and a lot of this has to do with revenge, I want revenge. 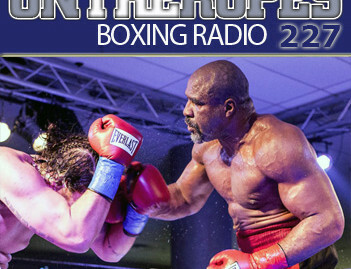 7 Responses to "Shannon Briggs: “You have to bring that heat and knock Wladimir Klitschko out, there’s no other way to beat him”"
He’s deeply embraced God. Once he told a writer that he does not fear death because he know where he’s going. Let’s bring it on Floyd. Make your fight with Manny happen. The only reason why the mega fight not happening is FEAR..”Fear is a human emotion that is triggered by a perceived threat”…and the threat is Manny Pacquaio. . I like Shannon Briggs. He call it the way it is. Hope he fights the Vlad !